Volti Electrical is an electrical contracting company who service South East QLD specialising in domestic electrical, commercial electrical, air-conditioning, energy efficiency; lights and fans. 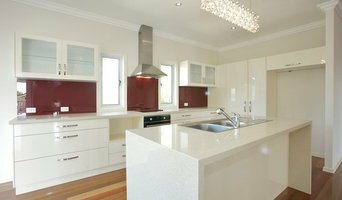 We are passionate about design and are considered one of the leading electrical companies in Brisbane who know design. Electrician - Solving problems with positve actions. 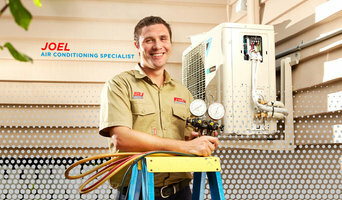 We are a small family owned and operated electrician business servicing Brisbane and surrounding areas. Based in Albany Creek, we offer an honest, reliable and timely service and strive to provide customers with the highest quality work at competitive prices. illumina Electrical pty ltd is a well-established provider of electrical services, including domestic, commercial and industrial. Contact us today for the latest in innovation and style. 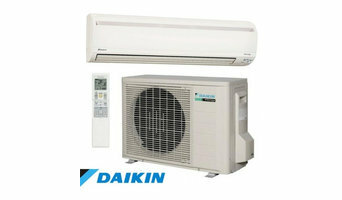 Our service is diverse and our quality superior. We have over 10 years experience and our reputation proves that we are the trusted leaders in electrical service. illumina Electrical offers competitive pricing and all quotes are obligation free, for professional lighting advice, and experienced installation. Light up your home in confidence, with illumina Electrical. At Brisbane Electrical Contractors, we make it our priority to specialise in first-class electrical services. We are experts in our field and pride ourselves on our attention to detail. We know that your electrical needs – whether an emergency, maintenance work, repairs or safety inspections – are important to you, and it is our mission to ensure you are completely satisfied with our work. It is crucial to us that our projects run smoothly and that our service is honest, personable and stress-free for our customers. JBerg Electrical is a locally owned and family operated business based on the south side of Brisbane. We take pride in being fully licensed and insured, and having years of industry experience across the residential, commercial, and industrial sectors. We’re passionate about safety and in providing quality, expert service to all of our customers, whether in the home or in the workplace. For all your electrical needs, the passionate team at JBerg Electrical is here to help. We’re the local Brisbane electricians you can count on! 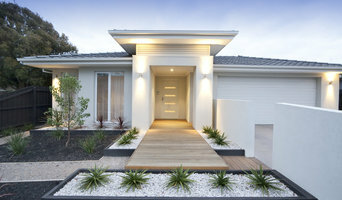 We specialise in the maintenance and renovation of residential properties. Wired Electrical offers quality workmanship and boutique service at an affordable price. Our phone is answered by a qualified electrician so we can quickly assess your job and give you immediate advice. We pride ourselves on offering a high quality electrical service at competitive rates, delivered within the agreed timeframe and on budget to meet client's requirements. We provide a reliable and safe service completed to the highest standards, you can rely on RBC Electrical Solutions to be there when needed. Atom Power are experienced and qualified in a wide range of electrical services including Smart Technologies, Automation, Lighting, TV, Internet and Data across residential and commercial sectors. Our electricians work with the latest technologies in design, installation and maintenance, going the extra mile to ensure safety, compliance and consistent performance. After all, it’s the little things that matter. Our passion is providing reliable and high quality electrical and solar solution to residential and commercial properties with professional and friendly service and advice. ASE service the Brisbane, Moreton Bay and Sunshine Coast areas and are here to help if quality and a job well done are important to you. ¿Qué hace un electricista en Sandgate, QLD, AU? ¿Qué hace un antenista en Sandgate, QLD, AU? Encuentra electricistas y antenistas en Sandgate, QLD, AU. Mejora los resultados de la búsqueda en la sección “Profesionales” incluyendo el nombre de tu ciudad o comunidad autónoma. También puedes consultar las fotos de casas de los profesionales de Sandgate, QLD, AU para encontrar expertos que hayan trabajado en proyectos similares al tuyo.